IN the face of a jobs shut-out by Adani with its 100% FIFO commitment to its Carmichael coal project, GVK Hancock has opened the door to regional employment at its Galilee Basin mining operations. 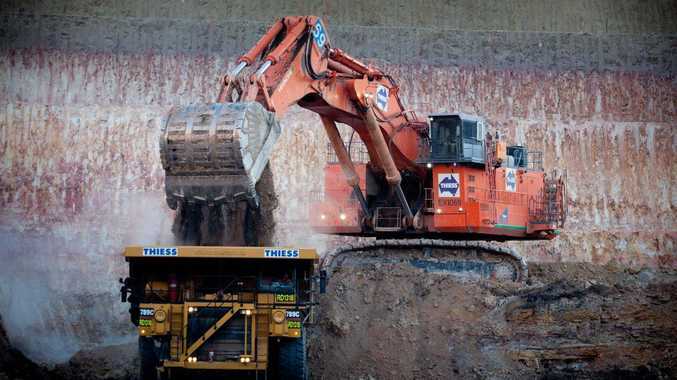 External affairs general manager Josh Euler said while a large component of the 4000-strong operational workforce at the company's three Galilee Basin mining projects - Alpha, Alpha West and Kevin's Corner - would be FIFO, the corporate plan was to boost local job opportunities. There will be a portion of workers bussed in and out from Emerald to Barcaldine to "create sustained, long-term employment throughout the region". "This bus-in, bus-out service will complement the unavoidable need for FIFO services," Mr Euler said. "The service will extend employment benefits from our project to Emerald and Barcaldine and beyond, incorporating additional pick-up and drop-off points along the route at towns such as Jericho and Alpha. "Fatigue management will a crucial element of our safety and health management system and employees will be required to commit to personal journey management plans for any travel to and from the terminal points of Emerald, Barcaldine and the airport as a condition of their employment. "Unfortunately, it would not be possible to commence significant operations like ours in such a remote regional area without also incorporating FIFO arrangements and any attempt to do so would pose various impacts to surrounding communities such as overheating the local property market." Central Highlands Mayor Peter Maguire described it as "fantastic news". "This is one of the most positive announcements we've heard from a resources company in the last few years," Cr Maguire said. "Honestly, it's a good story we think for the region and will provide some great opportunities for people. "With all the downsizing we've seen in the industry, it's great to know there are some opportunities again. "We hope it all works out for GVK Hancock and works for our community, and it's a great positive for the Barcaldine region too." Mr Euler said the mines complex would create about 20,000 direct and indirect jobs over its 30-year life span.